The world over, people love their food especially those ingredients that constitute the elements of fine dining. However, you’ll be surprised that there are many ingredients which are used, even in your kitchen that are taken for granted. We never ever contemplate how these ingredients make it to our kitchens, how they are grown. There are quite a few foods about which we have no clue as to how they are grown or how they look when growing off the land. You may be both surprised and shocked to see your favorite ingredients in their raw form. WheeBuzz shows you some stunning photos of your favorite foods and how they are grown. Pineapples are grown on these weird looking spikey bushes that grow out of the ground. The fruit grows in the middle of the plant. 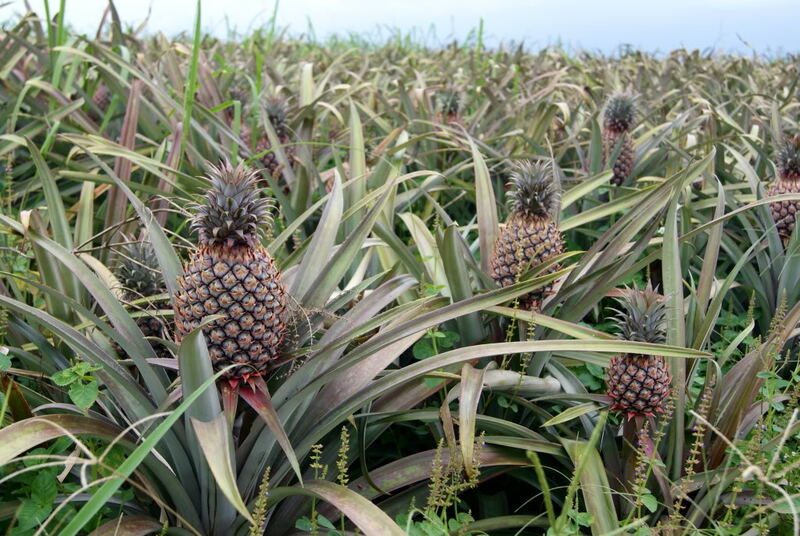 One pineapple plant gives you just one pineapple, so a pineapple farm will have hundreds of plants. Sesame seeds are contained within a pod that sprouts on a plant that grows tall and straight out of the ground. The pods called buns can be seen just like leaves sprouting from the plant. Sesame grows abundantly in Asia and wild strains are found in Africa. California provides 100% of the US crop of artichokes with Castroville Monterey County claiming to be the artichoke capital of the world. 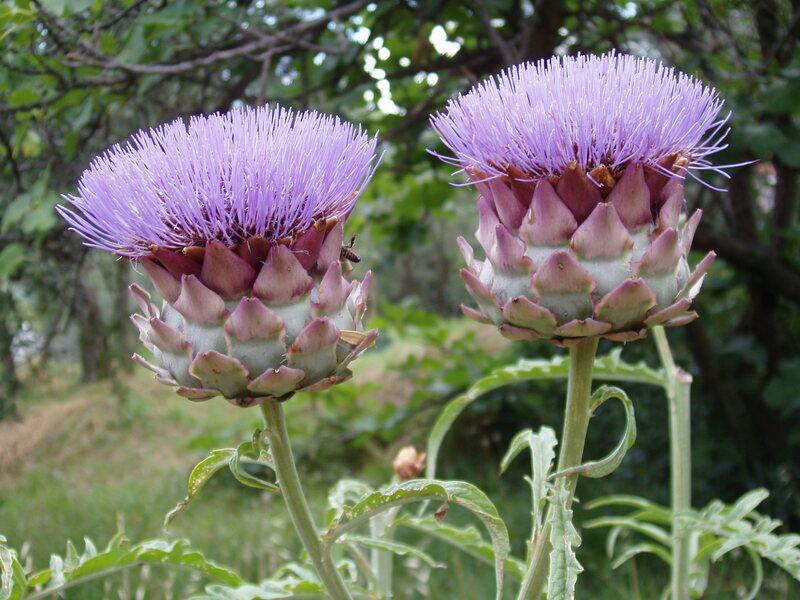 Artichokes grow on huge pretty purple flowers that are marked by their feathery tops. Brussel sprouts belong to the cabbage family called Germmifera. They can be seen growing from the large green leafy plant that can grow up to 4cm in diameter. Brussell sprouts look like a little cluster of cabbages. Capers or caperis spinosa grow in abundance in the Mediterranean. Some also grow in Asia and Australia. 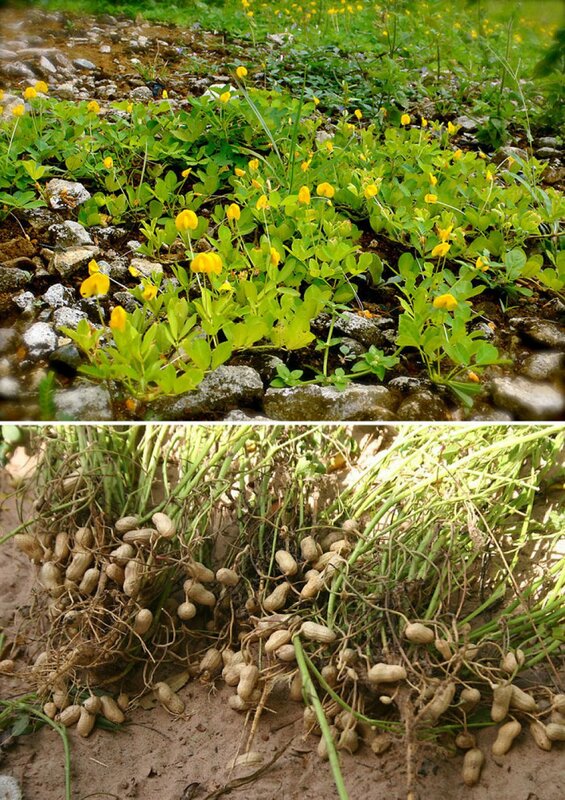 The best capers grow in a Sicilian island called Pantelleria. Capers are the unopened buds found growing on vines of pretty white flowers. 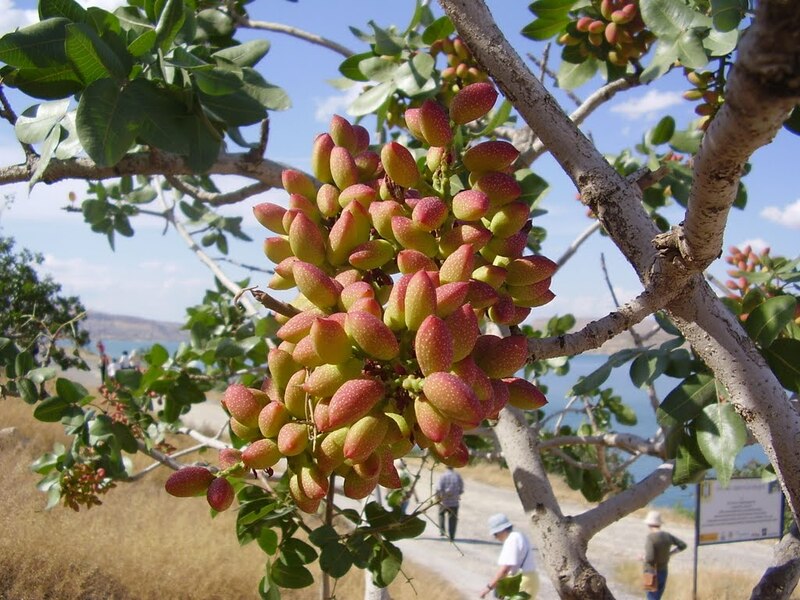 Did you know that pistachios grow on trees? Yes!! They can be found in clusters and believe it or not, it can take a tree at least ten years to produce a sizeable quantity for harvesting. Peak production of a tree takes about 20 years when the pistachios are then picked dry roasted and processed in machines. Now you know why they are also very expensive. Peanuts are quite pretty to look at. They are grown on yellow wild flowers and when there are plenty of them, they can look beautiful. However, you don’t see the peanuts above the ground, only when you uproot the flower will you see the peanut bulb at the end of it. Vanilla beans are contained in vanilla pods growing on the vanilla plant. They are first picked, then treated and dried for production. The vanilla bean belongs to the orchid family and the world’s largest producer of vanilla is Madagascar and Indonesia. 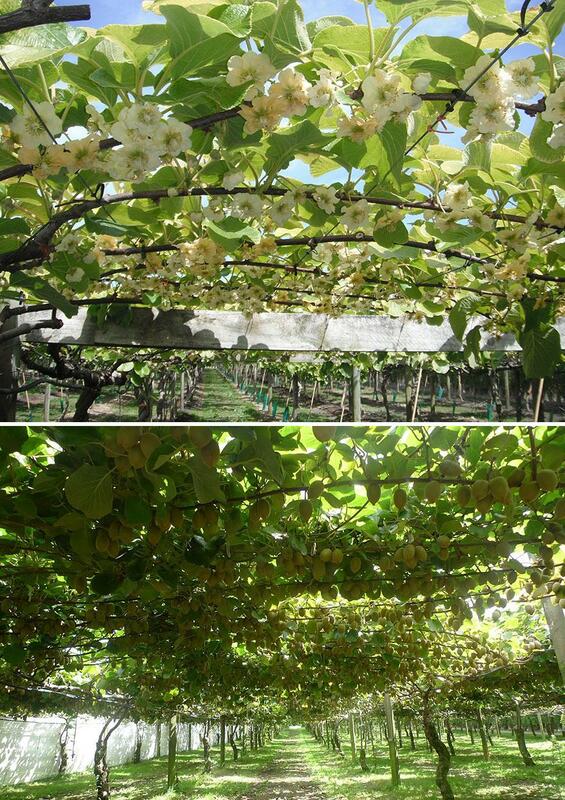 The Kiwi fruit also looks like a flower hanging on a vine which grows along trellises. Ultimately the flower grows into a kiwi and hangs down from the vines for picking. Kiwifruit is grown in abundance in California and New Zealand but can be found in cold climates of several countries around the world. It’s quite interesting to see how cashew is grown because they look weird. 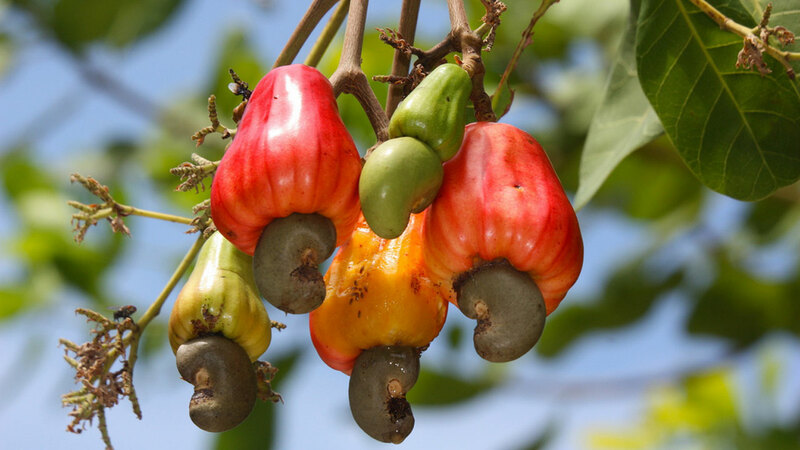 Cashews are actually found growing on trees and the fruit is actually called a cashew apple where the cashew that we eat is a nut that is derived from these apples. 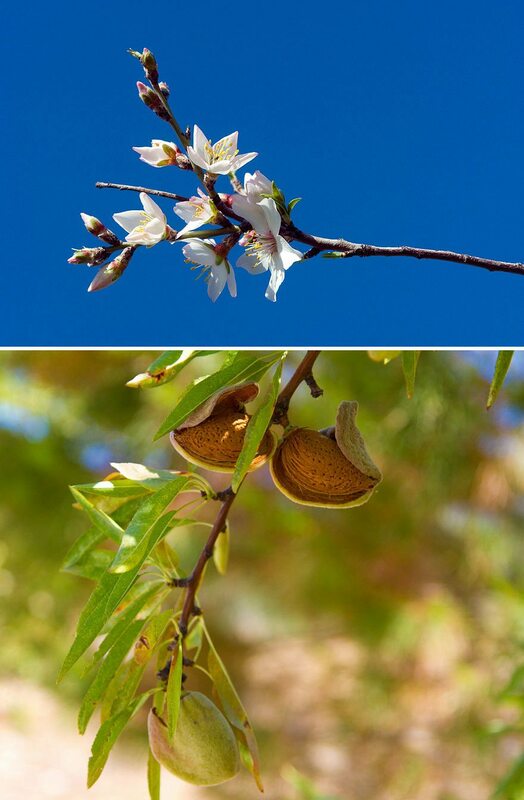 Like cashews, almonds to grow on trees. They look first like little pretty flowers which then transform into pods. The almonds can be found inside the pods. Almonds grow in abundance in the USA who is the largest producer of almonds in the world. You’ll be surprised to see how beautiful saffron flowers can be. The flowers look pretty and are purple in color. The saffron grows out of the middle of the flowers and can be plucked out of the flower without damaging the flower. Did you know that cinnamon is actually the dried bark of a tree? Indonesia is the topmost producer of cinnamon in the world. Cinnamon can be used for flavoring several items and is use in combination with other spices to make great curries. Cinnamon can make lovely tea too. This delicious fruit is excellent for good health especially bladder health. Cranberries can be seen growing off short shrubs from which flowers sprout and transform into the fruit. Cacao is chocolate and it is actually grown in giant pods that can be found sprouting on trees. The pods contain cacao beans which are harvested and made into cocoa. Cocoa trees are productive for over 25 years.